Ready to Reduce Your Symptoms? And your Waist? 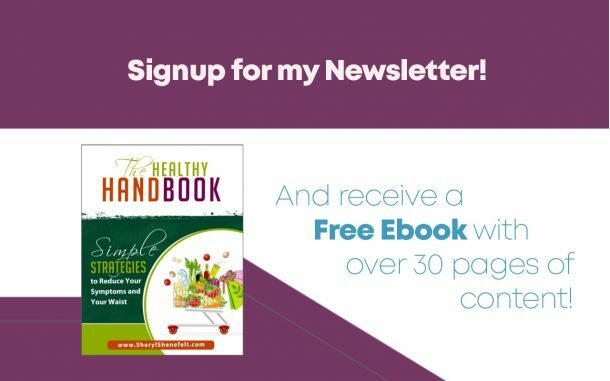 Get instant access now to your “Healthy Handbook: Simple Strategies to Reduce Your Symptoms, and Your Waist”. Did you know that no matter what your symptoms or health concerns are, there are foods, supplements and tips that can help?